Paris, Pittsburgh, And More: My Resolution For 2016: Go Out To The Movies! What kind of resolution is that, to go out to the movies? It sounds like way too much fun! My husband and I made this solemn vow two weeks ago after seeing “The Bridge of Spies,” starring Tom Hanks, which was our first test of the neighborhood cinema, Ciné Issy. The cinema got a B+: It's close, within walking distance; cheap at about 7.30 euros a ticket; and shows great, first-run movies. However, the seats aren't comfy, and you can't reserve on-line. We went there again last week to see the latest Star Wars movie, "The Force Awakens," though this time in French. But that was not a problem. This is one action movie where the dialog isn't worth much. At all. After that we vowed to see whatever was showing at Ciné Issy, unless we were out with friends or to a party. How can “going out to the movies” possibly be a resolution? How about if I say I want to go out more often with my husband? That I want to improve my French? Have something interesting to talk about at the water cooler or among friends? 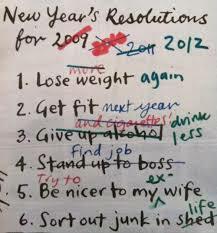 I'm hoping that our simple and specific resolution will go a long way to filling our more serious and lofty goals. The Hollywood Reporter gave the movie a terrible review, but I'll keep an open mind. Besides, it looks like fun! For some reason, it has taken us two years to test out neighborhood movie house. Could it be that the best resolutions are right under your nose? Clever, I like it, resolve to do a fun thing that has side effects. And it looks like you can go for 5,50€ with the annual card?! I wonder if you will start to see other regular locals too. Yep, we were going to buy the annual card as a way to lock in our commitment, but it goes September to September, so it's not worth it to buy it in January. And we do hope to get to know people, if only by sight. Hello Rose. So sorry to have missed you in Paris for my talk at WICE. Paris....I've ingratiated myself into their lives and made it my second home! As a fellow writer with a full caseload as a therapist in Pittsburgh it feels wonderful to luxuriate in the darkness and solitude of a movie on my own. Love it. That's a great resolution. I think everyone should go to the movies more often.